Your business has a story waiting to be told. 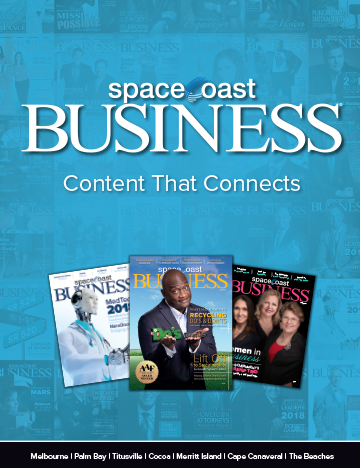 SpaceCoast Business gives you the opportunity to know and be known by the top entrepreneurs, C-Suite executives, key philanthropic board members, academic leaders, political office holders, and dynamic up-and-comers in Brevard County and beyond. Download our media kit today to learn more about what we have to offer and how you can connect with our audience. If you’d like a sales team member to reach out to you immediately with more information about advertising with SpaceCoast Business, contact us at advertising@spacecoastmagazines.com.